PUNE: The Deccan Gymkhanapolice on Tuesday arrested two shop owners for selling copies of two renowned sportswear brands’ shoes and apparel at their outlets on Fergusson College Road. The police have seized 915 pairs of shoes and clothes worth Rs 5.23 lakh from the suspects. 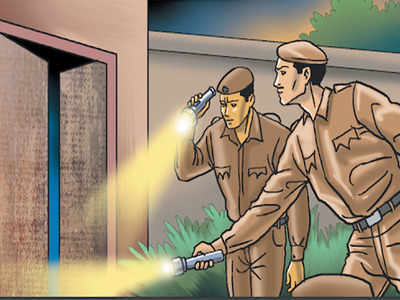 A 36-year-old manager of a private company, working in the field of intellectual property rights, along with the Deccan Gymkhana police, raided the shops and arrested owners Sumit Salunkhe (25) and Kiran Kshirsagar (34), both from Dhayari, under IPC Section 420 (cheating) and the relevant sections of the Copyright Act and the Trade Marks Act. Rahul Kolambikar, sub-inspector, told TOI that the manager of the intellectual property rights’company represents the two brands in India and their office had received information about the fake shoes and apparels being sold at the two shops on Fergusson College Road. “The manager approached the police station on Tuesday and informed us about the two shops, following which we took action,” Kolambikar said. “The items were packed in boxes to fool customers into thinking they were the original brands,” Kolambikar added. In a similar case, in October last year, the Cantonment police had raided a shop in the Camp area and had seized 80 pairs of rip-off shoes and 120 pairs of slippers of a well-known brand. Previous India Rejects Clothes Sizes From US, Europe; ‘India Size’ Apparels Announced By Govt.